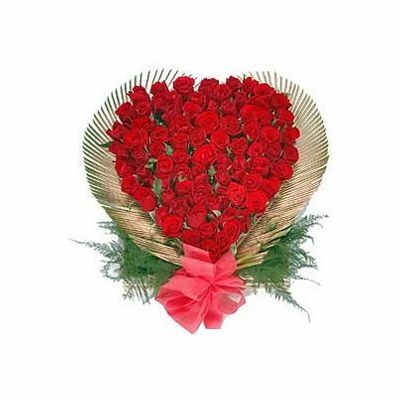 The Exotic Heart combines 100 red roses in a beautiful heart shape. The fresh blushing red roses are selected by our florist and arranged in the shape of a heart together with greenery and ribbons. Red roses represent love and passion. 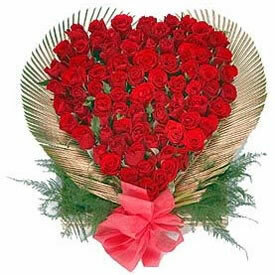 If you want to impress your loved one send roses online. Our fabulous Exotic Heart knows the language of your heart and will express your feelings and desires way better than you. Send flowers online on birthdays, anniversary, wedding day or Valentine’s Day to make the special events magical.